Buyer Beware – If you are looking for competent service and responsive communication, Brock Windows Brampton is not for you! Having a great deal of pride of ownership, we took great care in deciding who we would entrust with replacing our home’s windows. Valuing quality and wanting the job done well we selected Brock as our service provider though more cost effective options were available. 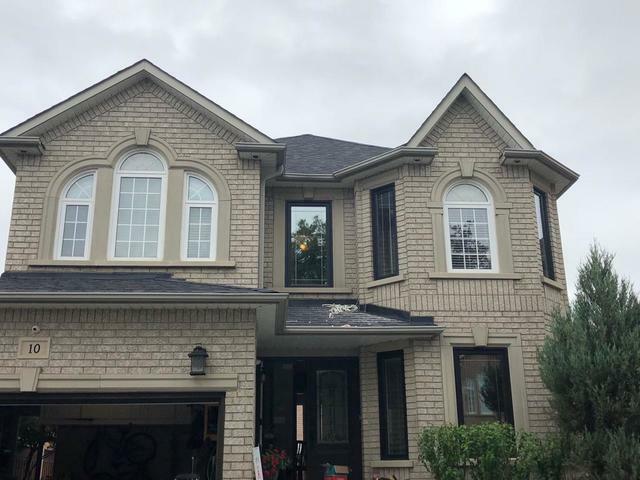 Our sales person Rob was very knowledgeable, friendly and indicated that we were buying high quality Canadian made windows, from a very experienced and professional provider who prided themselves in superior customer service. He indicated that given the size of our project (23 premium windows plus patio door) we would be assigned a project coordinator who would keep us informed and attend to us every step of the way. Here is a recap of what we have actually experienced. •	March 27, 2018 we made our $30,895.74 purchase of “high quality windows” from Brock, then hear nothing from our project coordinator for several months •	My husband made several calls and sent several emails before our incredibly invasive “project coordinator” Angelika finally provided us a follow-up and installation date •	July 11 to 13, 2018– my husband takes 3 days off from work for the installation of 23 windows and 1 patio door only to discovered half way through the removal of the blinds on our old windows that half of them are either too big or too small. Given that our old windows are white and the new ones were premium espresso coloured windows, we agree with the installers to put back the blinds and return when the order is completely right. •	September 11, 2018 – my husband again takes a day off work for installation and again several of the windows are either too big or too small. The installer has already removed several of the old windows and is pressured by Brock to push through and install all the ones that fit, leaving our house with a ridiculous and embarrassing mishmash of white and espresso coloured windows. Furthermore, some of the installed “high quality” windows are wrong, one in our dining room is missing one of the grills, the one is the garage is too small and missing the frosting, all this is pointed out yet they install them anyway. With instructions from our so-called “project manager”, they have the audacity to request payment! None was granted. They leave with assurances that they will be back in a couple of weeks with the other windows and make things right. •	November 20, 2018 – my husband takes a 5th day off of work for installation, and for a third time in a row the windows do not fit! My husband once again waste frustratingly valuable time chasing around Angelika to understand what is going on and to determine when and how Brock plans on making this right. After no email replies or phone calls are received he once again goes into the Brampton Store to get their attention. He also justly requests for compensation for the inconvenience. Neither the “project coordinator” nor Luc the “President, Customer Contact” have the decency to come out and speak with him, claiming they are too busy. Aside from having Cody an on-site employee offer a laughable $500, no one ever calls, apologizes or explains anything! •	We go through the entire Xmas holidays embarrassed by our homes appearance as friends and family came over asking us what in the world is going on with our ridiculous multicolored windows courtesy of Brock. •	March 4, 2019 – our fourth scheduled installation attempt and my husband’s 6th day off from work. Despite the extreme weather warnings, the fact that our roof is covered in ice and the Brock sites’s expert recommendations that warmer weather is needed so as not to overtax your furnace and to allow calking the needed adhesion, no one bothers to give us a call to confirm or reschedule the Monday morning installation. The only communication we get is an email on Friday night from their accounting department asking for payment for their incompetent and incomplete service. How embarrassing! •	March 4, 2019 – I send an email to Luc copying their accounting department, the salesperson, the project coordinator and request follow-up indicating that we need follow-up, that I want someone to explain how Brock plans to make this right. How they plan to ensure the quality of the work given the extreme weather and that how they intend to ensure the safety of their installers on our frozen roof. The only person to call is poor Cody who doesn’t even know I’ve sent the email. He is calling at 7am on the day of installation calling it off and providing an April 18th installation date, more than a year since our purchase! IT IS NOW A FULL WEEK SINCE MY EMAIL NEITHER LUC, OUR PROJECT COORDINATOR NOR ANY OTHER MANAGER HAS BOTHERED TO CALL AND INDICATE HOW THEY PLAN TO MAKE THIS RIGHT! This despite the fact I indicated I would be posting this review and filing a complaint with the Better Business Bureau. It is clear that having the simple common curtesy to reply to your customers when you have very clearly let them down, is not a priority for you. Not even for your managers. I would never have expected this level of unprofessionalism and incompetence from Brock, I can assure I will never use your services again and will ensure my friends and family think twice before ever dealing with you! We'd like to extend an apology for the series of unfortunate happenings with your project. It is to our understanding that the project is rescheduled for April the 18th for completion. The amount of compensation you are requesting is being discussed amongst Upper Management, as Project Coordinators are not authorized to distribute amounts over specific thresholds. If you desire to speak with our Customer Relations Manager, you may connect with Natalie Wynter at nwynter@brockwindows.com or by telephone at 1-800-449-3808 ext. 1106. If you have concerns or questions regarding your project, you can connect with Cody Garnett at cgarnett@brockwindows.com or by telephone at 1-800-449-3808 ext. 1103.